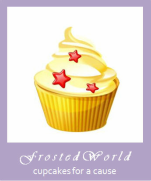 We are a home based, made-to-order, online bakery, that offers cupcakes, cookies, and cakes. Click around and explore our site! Delicious homemade treats await you! All proceeds go to Charity, CORD (Chinmaya Organization for Rural Development). Ingredients and overheads are sponsored by well wishers. The entire money collected will be donated to CORDUSA. Please click on the link to directly Donate to CORDUSA.